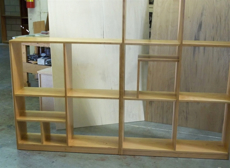 Create your own combination of any size Wall Unit with or without doors. 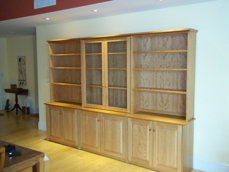 Cherry cabinet with glass framed doors. Mission Bookcase with drawer and wood framed glass doors Shown with mission black handles.